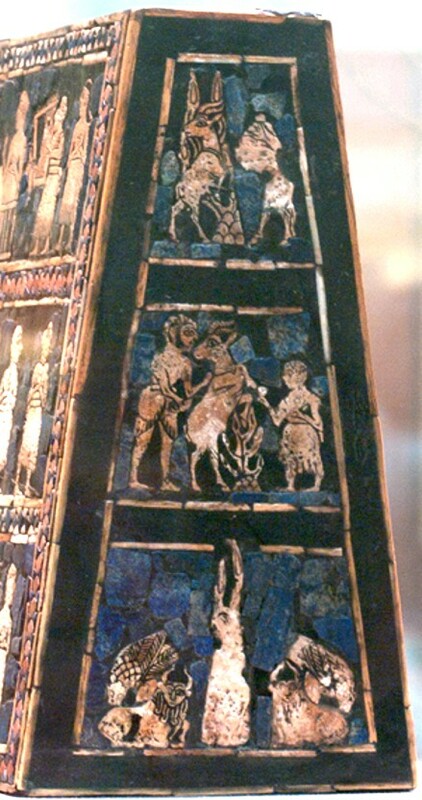 The Standard of Ur was found in PG779 one of the largest graves in the Royal Cemetery at Ur by Leonard Woolley (1920s), the excavator at Ur. It was lying in the corner of a chamber above the right shoulder of a soldier whom Woolley thought had carried it on a long pole as a standard, the royal emblem of a king: hence its common name. 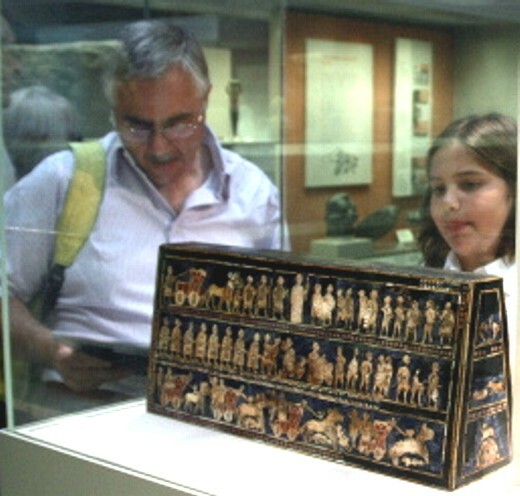 It is essentially a hollow wooden box measuring 8.5 inches high and 19.5 inch long, inlaid with a mosaic of shell, red limestone, and lapis lazuli set in bitumen. Its original function is not yet understood, although it is more likely to have been the sound box for a musical instrument. 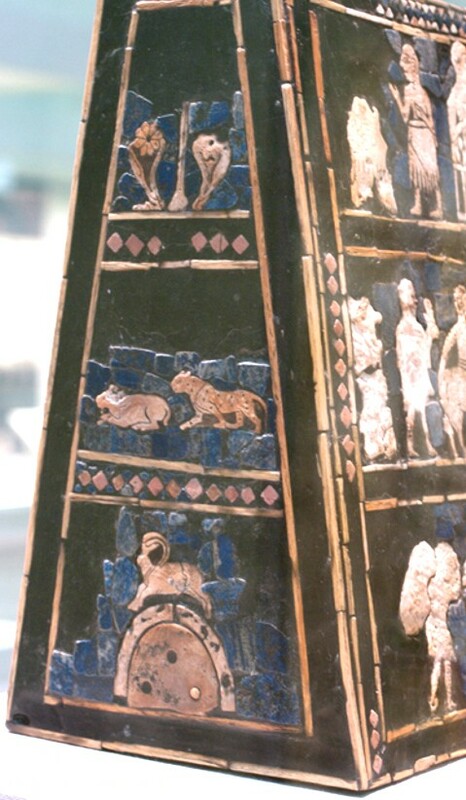 The main panels are known as 'War' and 'Peace'. 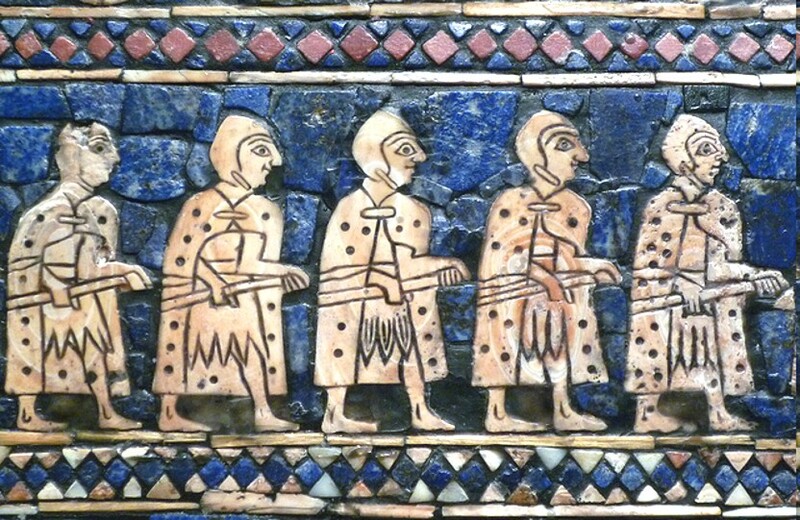 'War' shows one of the earliest representations of a Sumerian army. 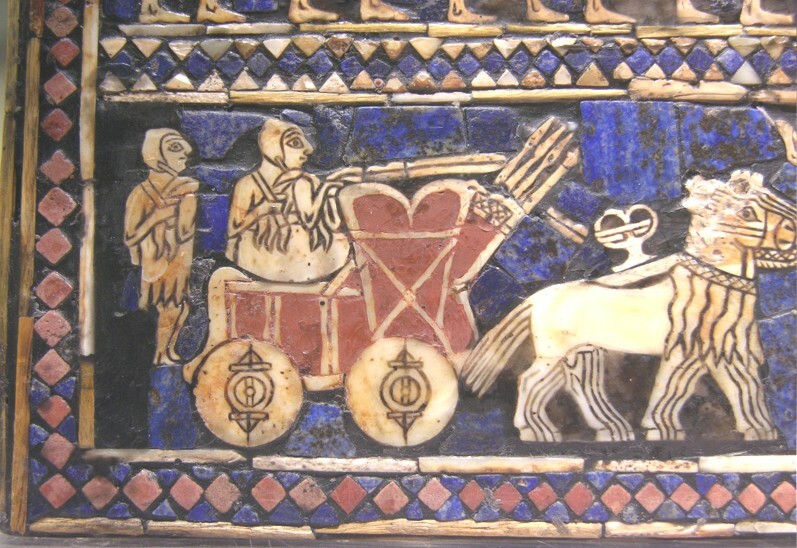 Chariots, each pulled by four donkeys, trample enemies; infantry with cloaks carry spears; enemy soldiers are killed with axes, others are paraded naked and presented to the king who holds a spear. 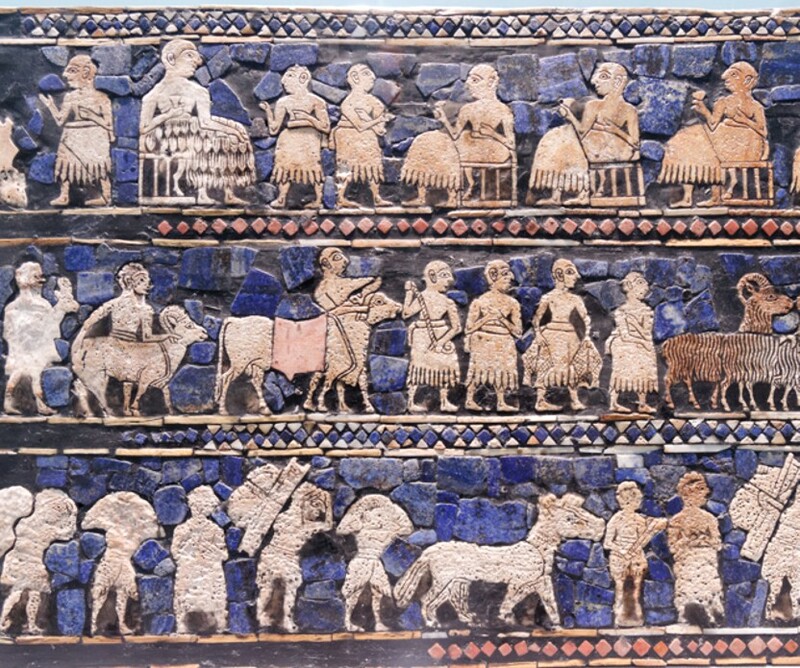 The 'Peace' panel depicts animals, fish and other goods brought in procession to a banquet. Seated figures, wearing woollen fleeces or fringed skirts, drink to the accompaniment of a musician playing a lyre. Banquet scenes such as this are common on cylinder seals of the period, such as on the seal of the 'Queen' Pu-abi.